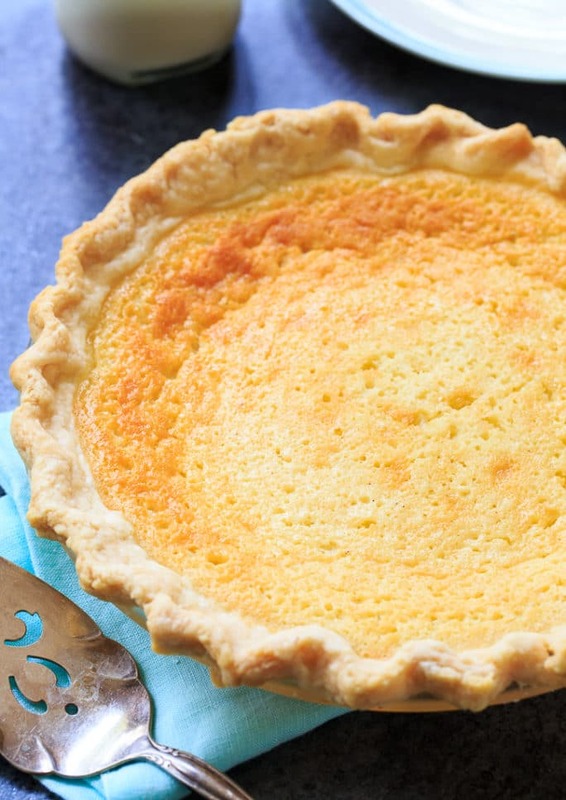 Old-Fashioned Buttermilk Pie is a classic, traditional southern pie. It’s simple and made from regular ingredients, but it tastes so good. 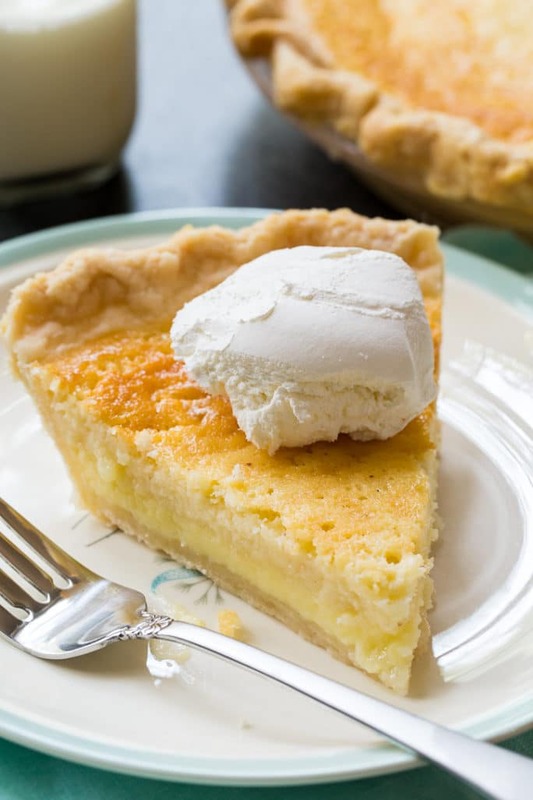 Buttermilk Pie is creamy, sweet heaven. It’s one of my very favorite pies. Old-Fashioned Buttermilk Pie has a super smooth, custard-like filling that is really sweet. The filling only takes about 5 minutes to make and consists of eggs, buttermilk, sugar, melted butter, flour for thickening, and lemon juice, vanilla extract, and nutmeg for flavor. 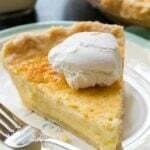 Buttermilk Pie is very similar to Chess Pie only a Chess Pie typically has cornmeal and a Buttermilk Pie does not. You can use a store bought pie crust or make your own. Watch the video below to learn how to make an easy homemade Flaky Pie Crust. You can eat Buttermilk Pie warm, room temperature, or chilled. I think it tastes best straight from the refrigerator, especially when the weather is warm. Then it is cool and creamy and oh so delicious. Old-Fashioned Buttermilk pie is super sweet with a little tang. Such an easy pie to make! This entry was posted in Desserts, Pies and Tarts and tagged buttermilk, pie. Bookmark the permalink. had It for the first time at Cracker Barrel came home and found this recipe and loved it!! It’s so easy to make and it came out near perfect. I topped it wait strawberries and whip cream. I think I might try pineapple next. I did add lemon extract and not juice. It went perfect with the strawberries. It was served cold and it went so fast! Thanks for the awesome recipe Christin!! I moved to CO two years ago from the Great State of Texas— family rooted from the Carolinas, Southern FL, Atlanta and Louisiana. Never in my life would I imagine living in such a place where no one says thank you when you hold the door, and they’ve never heard of buttermilk or sweet potato pie!!!!!! I make about 2 of these a week, keeps my fiancé happy and my elderly neighbors cholestorol up. I ALWAYS bake this at night just before going to bed, right as it’s done cooking, I turn the oven off and crack it and allow the pie to slowly come down to temp in there. Perfect consistency. We eat the slices with our hands as a snack (less dishes!). 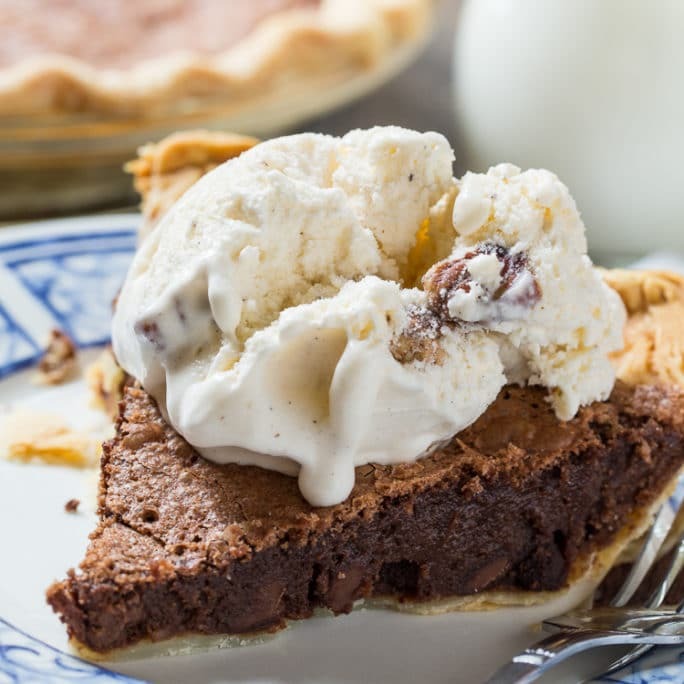 What is the white scoop of stuff on top of the pie? I made this tonight. Used an organic cane sugar. And a graham cracker crust. Cooked just like recipe called for and it was burnt! I’m not sure if it’s the cane sugar? Or the fact the recipe did not specify when you lower the oven temps to take out and wait for it to cool before cooking it the rest? At 30 minutes at 350 it was brown and not cooked in middle. Any suggestions? Butter or no butter? Salted or not? I used the butter but I substituted the sugar with stevia. (2 cups). Not sweet enough for me but it tastes really good still. I know it sounds weird but I tried it with pancake syrup… really good. You might add a bit of honey or another natural sweetener to the stevia. A mix so it doesn’t come out tasting of honey. Best of luck. Any time a recipe calls for flour that means plain flour. It will specify self rising if that is what it wants. Help,,I picked up self rising flour instead of plan !!! Will it work???? I’m not sure how it will turn out using Self-rising flour. I had a recipe book printed by my church to raise money in 1958. The years took it’s toll on my book. Could not find the recipe for the Buttermilk Pie, requested by my family every year. Sat down this morning to Google help. Lucky I found you. Same exact recipe, I am so pleased to find you. Merry Christmas to you and all your readers. My nine year old grand daughter and I made this pie and it turned out perfect!!!! Its her favorite. Mine just came out of the oven. I cannot wait to try it. Oh my, it is YUMMY! Could I use gluten free flour instead of regular flour? Would it still work? It should Claire, but I don’t cook with gluten-free flour so I am not sure. I tried your recipe because my cookbooks were still boxed from our move. I made 3 for our Potluck Thanksgiving at work, the lady’s kept asking me if I was bringing my famous buttermilk pie but I improvised with your recipe. It was awesome t they never knew the difference. Thanks for your help, I think I’m going with yours from now on. Mike in San Antonio, Texas. I don’t think it will crystalize the same way that sugar does on the top of the pie. 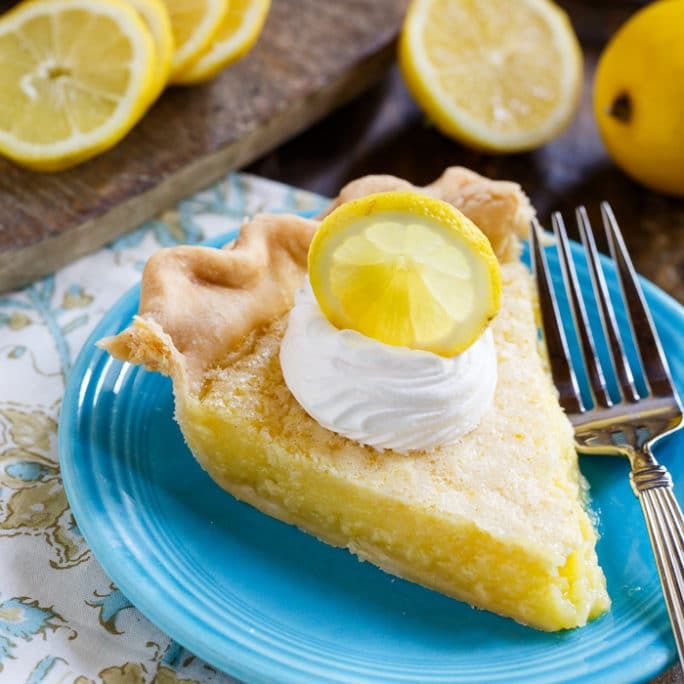 I always use lemon extract for this pie. Very traditional in my family. If your in a higher altitude use a tablespoon of cornstarch to avoid runny middles. Wish I had read this before I put them in the oven! I have lived here 4 years and am still not used to modifying every blessed recipe ! I haven’t tried the pie yet, but I’ll bet it has a gooey center. Ah, well, next time! It would be so good with crushed pineapple and coconut! I followed the recipe exactly like it is written. Turned out awesome!!! Everyone loved it. Why does the recipe call for a 1/2 cup of melted butter but the video omits adding the butter? I followed the recipe using low-fat buttermilk and the pie came out with a 4 inch round section of what looked like melted butter. I followed the recipe. Any thoughts? Sometimes it’s the difference in using butter vs margarine. I have always used butter. The one time I used margarine it came out like what your talking about. Mine came out the same way! I cooled the butter but it wasn’t cold. I used a siring to remove the “pool” of butter. The pie looks beautiful otherwise. I used butter not margarine and mine came out the same way, I also noticed in the video no butter was used so on my next try I’m only going to use 1/4 cup of butter otherwise the pie is good. White Lily flour is actually different from other brands…. More tender. It is actually made fro. A winter wheat which renders a tender flour. It is better for cakes and biscuits. Other brands are better for breads and dough. Some other recipes for this pie call for 3 tbsp of lemon juice and a tbsp of lemon zest. It’s no wonder in their reviews that people say it turned out to be a lemon pie instead of buttermilk. I’m gonna stick to the one tbsp of lemon juice to be on the safe side. Every year, our one local grocery store carries lots of fresh pies from Thanksgiving through Christmas. This year for the first time there were none due to Affiliated Foods not sending them to the stores. Huge disappointment for the locals. And the pies were advertised in their weekly sale flyer. We even drove to the next town and the Brookshire’s had no pies either AT CHRISTMAS TIME! Marketing sure is screwed up these days! Can’t believe they had no pies! Hope your homemade one turns out to your liking! Merry Christmas! I’ve now made three pies from your recipe and they are FANTASTIC! I’ll be needing to go to pie rehab soon! I use one tbsp of vanilla instead of one tsp. Artificial vanilla is what I had on hand and it’s great. This will be my forever recipe. Thanks and happy new year! Make sure there’s no lead in it! 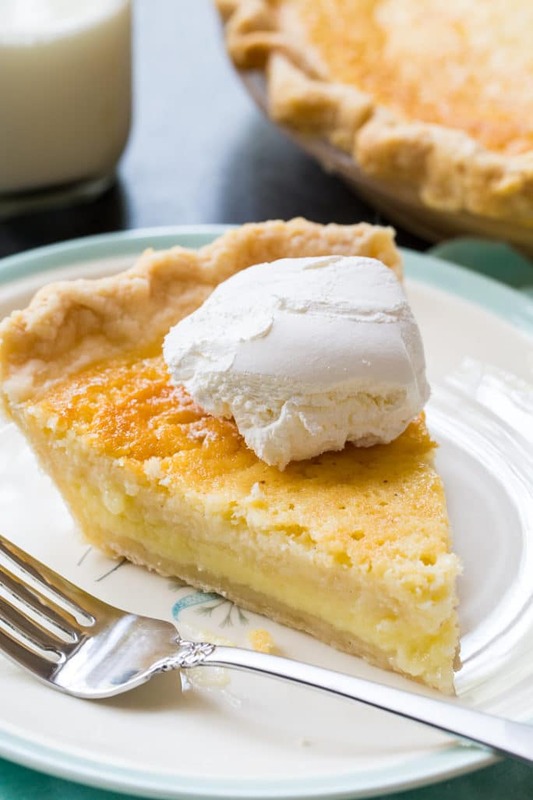 I’ve had buttermilk pie and LOVE it, this recipe looks almost identical to others I’ve seen except for the lemon juice. I was wondering what the purpose of the lemon juice is? This is identical to what we in SC know as egg custard. Only difference is buttermilk instead of sweet /evaporated milk & no pie crust. Just butter Pyrex pie dish & pour mixture in & bake at 350° for 30 mins. Old Fashion Buttermilk pie is the best! I have one in the oven now….first time making it! Hope it turns out wonderfully! What about the butter? Do you need it or not? I have made this and I half the butter and use less sugar. My first time. It’ll become a go-to dessert during girls nites. My Grandmother always added coconut, I like mine exactly like the recipe. One of my all time favorites from a young girl. My people come from Georgia and Kentucky I grew up on things like country gravy biscuits and especially buttermilk pie. One of my daughter’s found this recipe we made it and it was very delicious. 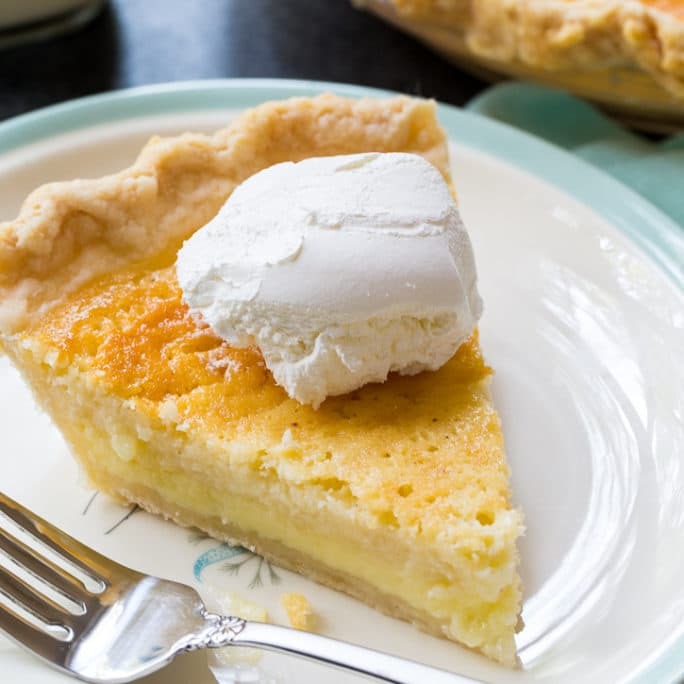 What is the difference between sugar cream pie and buttermilk pie? R what are you talking about? There are no brand names listed in the instructions or in the ingredient list. If you live in the South and have done much baking, You would know there is no flour that equals White Lily. I don’t work for the company and have nothing to gain for what I am saying. Just a country girl who cooks… Just like Mayonnaise … I only use JFG Mayo for any salads I make… It is just sharing our experience and a preference. I used to think there was no difference until I started doing my own research and testing. Whitelily is my favorite ! It is by far lighter. It is from a different wheat than some of the others thus producing a tender product. It is better for making biscuits, cakes etc. However , other heavier flowers are better for breads in my opinion. I always buy whitelily as my go to flour. Love pecans! It really is a wonderful pie isn’t it? My Mom and her Mom use to make these. I love them. Going to try this one. Hope you enjoy it Pauline! This pie sounds delicious, Christin! I love the creamy filling it has and the fact that it’s similar to chess pie. What a perfect dessert!